I want to look at song we introduced not long ago, a song called ‘Seas of Crimson’. On my first hearing of that song I knew it was special. The lyrics were too powerful to ignore. There was something in there that made me listen to it on repeat for days. The first verse starts with some truths of who Jesus is. He is the one who cures curses (There’s multiple curses in the OT, some in Gen 3 & Gen 12. Too much to mention and/or research fully!). He is the one who heals sickness (Matt 8:1-4 & 14-17). He is the one that calms storms (Matt 8:23-27). All these things are severe problems, but Jesus rules over all those. And it’s with that we acknowledge “Oh, What a Saviour”! Verse 2 looks at the cross and the results of that. Ultimately our burdens were defeated on that day and our wretched hearts were redeemed. Other words for wrecked include: despicable, hateful, shameful. The color crimson is used only a handful of times in the bible, and it is symbolic of blood. Some believe that ‘scarlet’ and ‘crimson’ are both the same thing when referenced in the bible. He drowns our sin in his blood. Note, he drowns it, not just splashes it or submerges it. He drowns and kills off our sin, with his blood. On a side note, it’s interesting enough that the veil that was torn when Jesus was crucified included the colour crimson/scarlet in it’s pattern. The chorus consists of praise and truth. Hallelujah meaning Praise Jehovah. Jehovah also meaning YAHWEH. Which also has roots in the name I AM, meaning ‘God has always existed and will always exist’. We praise the one who has always existed and always will exist because death is beaten! We end the chorus the same way we started it, with praise to God. We recognise that he doesn’t just deserve any praise, but the highest praise. In Verse 3 we sing about the day of the most extreme & greatest glory. But we are also met with one of those words which isn’t often used in daily language – tarry. Tarry has two meanings. One is meaning ‘like or covered with tar’, the other meaning is ‘to stay longer than intended, or delay leaving a place’. So the line ‘All of darkness cannot tarry’ means that darkness is gone, it cannot stay around. When we reach that day of utmost glory, that’s when darkness will be forever gone. It will not outstay it’s visit. It will not tarnish that day. In fact it cannot. The bridge contains some amazing lyrics. It’s not necessarily something we haven’t heard before though. In Romans 6:14 it says ‘For sin shall no longer be your master, because you are not under the law, but under grace’. This is a truth we know, that grace has set us free. But there is something about that line in the bridge that just pushes that thought even further. 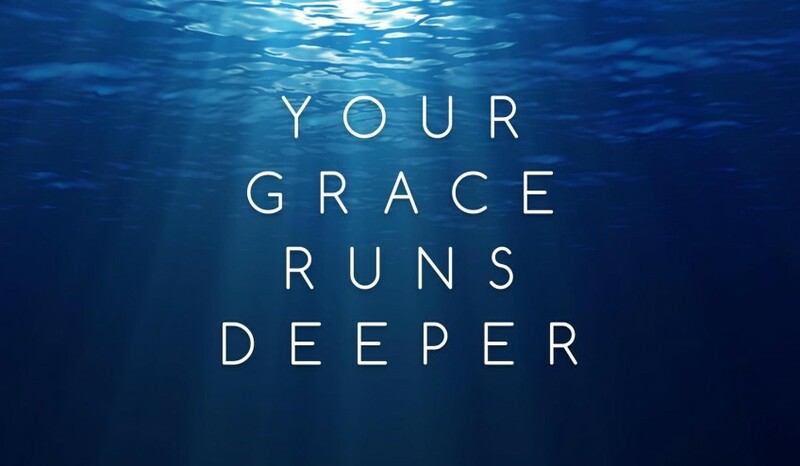 That no matter how deep sin runs, grace runs deeper! Grace will always outrun sin. The closing of the bridge extends that invitation to all those who are enslaved. This invitation is open to the world. To all. We are all slaves of sin and only through God’s grace can we be free. Because of that, yours is the power. Hallelujah. What are you thoughts on the lyric “every wretched heart redeemed”? I fear that it speaks of universalism but I’m not sure. I don’t think Bethel believes in universalism but I am trying to be extra careful when evaluating lyrics for worship.